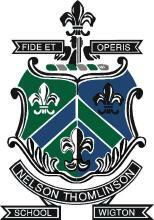 The Nelson Thomlinson School is different. Moreover, our uniqueness is a great source of pride and we defend it to the hilt. Our uniform is traditional, we expect the highest standards of manners and behaviour and our primary foci are our pupils’ academic achievement and their attitude to learning. The demands we make of our staff are equally high, and strict monitoring and ‘supported accountability’ ensure that our pupils receive the best possible service. We do not jump on band-wagons and we adopt a no-nonsense approach, keen not to take our eye off the ‘teaching and learning ball’. We are also determined that there will be absolutely no bullying and whilst we ensure that our pupils will be stretched academically in line with their potential, equally we do our utmost to ensure that they are both safe and happy. In terms of examination results, a quarter of all A-level entries are typically A or A* and the vast majority of our students are successful in securing their offers for University, apprenticeships or work-related training. At GCSE level over 80% gain 5 or more higher grades and about two-thirds of students tend to gain 5 or more higher grades including English and Maths. I should reinforce here that parents are part of a three-way partnership. We continue to be ambitious on behalf of your children – our pupils – and expect in return parental support on matters such as homework, behaviour, uniform and respect for others. It is equally paramount that parents tell us when they have concerns or when we might have got something wrong. The school prides itself on its attention to detail and when things do need fine-tuning then I am keen to know. This school provides a broad and balanced curriculum for all pupils, which is differentiated to meet individual needs and abilities. In terms of developing academic and social skills, we are no less ambitious for pupils with special educational needs and disabilities. In their planning, teachers take into account pupils’ diverse learning needs to ensure the provision enables them to participate effectively in all curriculum and assessment activities, in addition to broader aspects of school life.